Audioburst empowers podcasters with the tools they need to succeed. Podcasters are easily able to get full transcripts of their shows, edit as they please, and effortlessly share with the world. Audioburst has created an AI based content library that empowers your audio content – podcasts that you put so much time and effort into creating – into searchable, accessible, and shareable moments for the very first time. Broaden your audience by getting their attention with short bursts. In addition to being a hub for promoting your podcast independently, Audioburst also adds your content to one of the largest audio libraries available. It increases your reach without any effort, instantly making any show you upload assessable across partner devices such as in-car infotainment systems, voice assistants, Iot gadgets, smartphones, and more. Audioburst is an AI-powered audio search platform which connects listeners with audio content. They transcribe, analyze, index, and segment audio content into searchable ‘bursts’ to provide a more dynamic and personalized listening experience for your users with the benefit of seamless website integration and social sharing. Transcription: A vital part of podcast marketing. With Audioburst, all of your episodes are automatically transcribed within minutes of you hitting publish. Each time a new episode of your show is added to the library, the transcript will be emailed directly to you for use in tagging, further content creation, and to improve your SEO. Popular in show notes and super helpful for those that are looking to accommodate the hearing impaired. Edit: Automation and making everything easy is what we live for, but sometimes things need a human touch. Their editor puts you in complete control of your content, allowing you to capture the perfect moment by sound or transcript. Then you need only to choose your title, adjust your tags and you’re ready to go. Share: All bursts can be shared with your favorite social networks directly from the editor. Alternatively, you can embed a player on your website for easy content access. 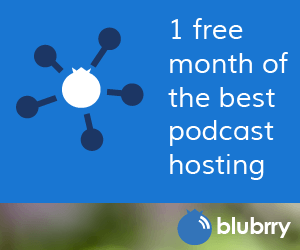 By being a Blubrry hosting customer you’re automatically able to sign up to transform your episodes into shorter and shareable nuggets of content. You can find Audioburst in your Podcaster Dashboard and easily sign up for free. To learn how to use Audioburst, take a look at the tutorial here. Their team is available if you run into any snags, contact them at support@audioburst.com.